Over the weekend, the news has been relatively flooded with details and opinions of a business deal that will affect British science and research. I’ve continuously been in labs where the scientists are from all over the globe but one thing has remained constant, the research is run and funded by UK firms or the UK government. AstraZeneca is a British pharmaceutical company, one of the largest, and the main competitor to GlaxoSmithKline. It turns out that Pfizer, a US based company famous for bringing us Viagra, is launching an attempted takeover of AstraZeneca. This is a move that has sent shudders through the British science community; at least four British scientific bodies (the Society of Biology, Biochemical Society, British Pharmacological Society and Royal Society of Chemistry) have expressed their concerns. This is all partly due to the loss of a giant British research company but also the worry stems from Pfizer’s track record of mergers leading to lab closures. 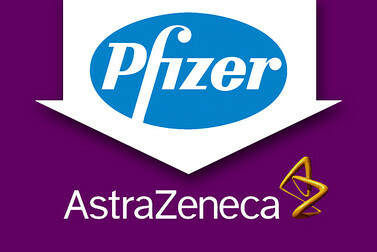 Pfizer have offered a substantial £63billion for the takeover and at the moment AstraZeneca have said this is too low. Pfizer have promised to establish more of its business in the UK if the deal is successful and has suggested it will invest in more research and jobs here but a lot of people involved in research see these as false promises. No one seems to trust a US based takeover of an inherently British company, especially as the official assurances are that Pfizer will keep at least 20% of the combined companies’ research and development workforce in the UK for at least five years which leads many to think ‘what about after that?’. In addition, they say they will move its European HQ to Britain but that still doesn’t give any more reassurances about the core research and development level science being kept here too. Now the government seem to be catching up on the matter with David Cameron saying he’s ‘unsatisfied’ with the current proposals. The chief executive of Pfizer and AstraZeneca will have to meet separately with the House of Commons select committee next week for politicians to grill them on job promises and further investment. It seems Pfizer want AstraZeneca due to the lower UK tax rate than that found in the US, but could this cost cutting extend further than just shifting profits? The takeover rules in Britain have been strengthened since Kraft took Cadbury but then backtracked on its promise to keep a UK factory, so the government do have an option of blocking the takeover through using the ‘public interest test’. Although this is technically reserved for issues of national security, pharmaceuticals and scientific or medical research could fairly easily be included. There is already a lot of concern and backlash at the idea of this takeover and it will be hard for Westminster not to listen. Nothing on the grapevine is suggesting a white knight bid from another UK company so it’s left up to AstraZeneca and Pfizer to number crunch and work out a deal. Pfizer has until the 26th May to make a firm offer and until 5pm that day, there will be a lot of concern for the future of peoples’ jobs and our home-grown research.